Official Rugby World Cup 2019 Hoody. A polycotton fleece lined supporters hoody with Japanese inspired lining to the hood, chunky drawcords, ribbed cuffs with white and turquoise tipping and a kangaroo style pocket. 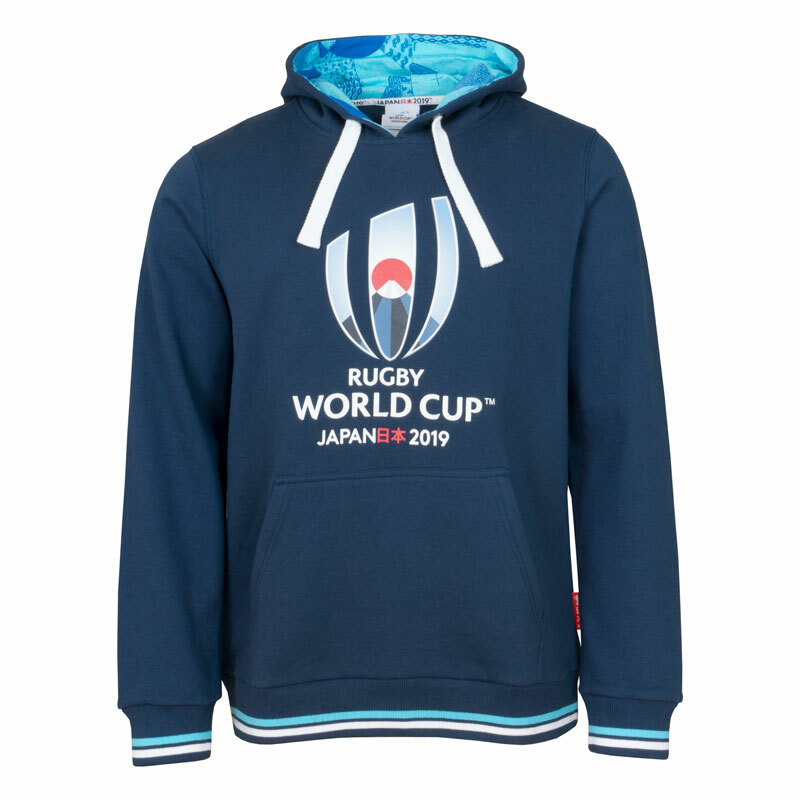 Printed to the front is a large Rugby World Cup Japan 2019 logo.